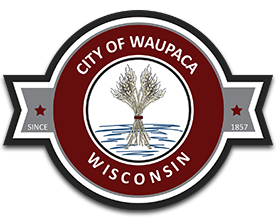 The City of Waupaca Streets Departments has a wide variety of responsibilities. They are responsible for maintaining the City streets, sewer system, minor street repairs, crack sealing, street sweeping, leaf pickup, snow plowing and removal. Additionally the Streets Department provides other services to the City such as building maintenance to city owned buildings, repairs to City vehicles, hang City decorations and signs, maintenance to traffic control signs, and providing other assistance as needed.